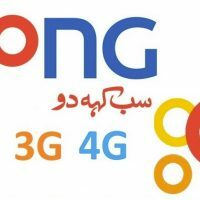 Zong, the biggest telecommunication company in Pakistan, has always something exciting and new for its customers. Especially when it comes to Internet plans, Zong always tries to provide something that suits its customer’s need. Zong internet bundles come with a low price and extra data Mbs. Zong now offers an affordable weekly internet plan for its prepaid customers to meet their data needs. The weekly premium plan has something exciting for Zong customers. With activation of the package, you will get unlimited mobile data to use internet for a whole week at an affordable price. All essential details of the offer are given below. To activate the Zong weekly premium 3G/4G you have to dial *6464#. After dialing the code, you will have activation menu on the screen. You can select the desired package from the menu. A confirmation message will be sent to you after successful subscription. Charges for the weekly premium package are extremely low and easily affordable. To activate the package you have to pay only 70 including tax for a whole week. No additional or extra charges will apply. With Zong weekly premium package you will get 700 Mbs of mobile data to use internet for whole seven days. You can explore the internet, check your social apps and remain online with the provided Mbs. To check your data usage and to get information about remaining Mbs you have to dial *102#. Zong weekly premium offer is only valid for prepaid internet users. The offer is only for 3G and 4G internet customers. You can reactivate the package only after deactivation. The package will be re-subscribed in case of sufficient balance. On bundle expiry, you will be charged Rs 1 per Mb. If you have not subscribed to any internet bundle, Rs 4 per Mb will apply. Withholding tax of 12.5% will apply on recharge, bill, and other usages. Sales tax will also apply depending upon your region. Subscribe to Zong weekly premium package and make your week more exciting. You will have the freedom to connect with your friends, explore the internet and get updates from your social circle then what you are waiting for. Activate the package now and enter into a week full of entertainment. Question: How to activate Zong Weekly Premium Offer? Question: How much services charges? Answer: Zong charges an amount of Rs.70 Including all taxes. Question: How to check remaining MBs? Answer: Remaining MBs can be detailed by dialing *102#. Question: How many MBs are offered in this package? Answer: 700 Mbs are being given for whole week.